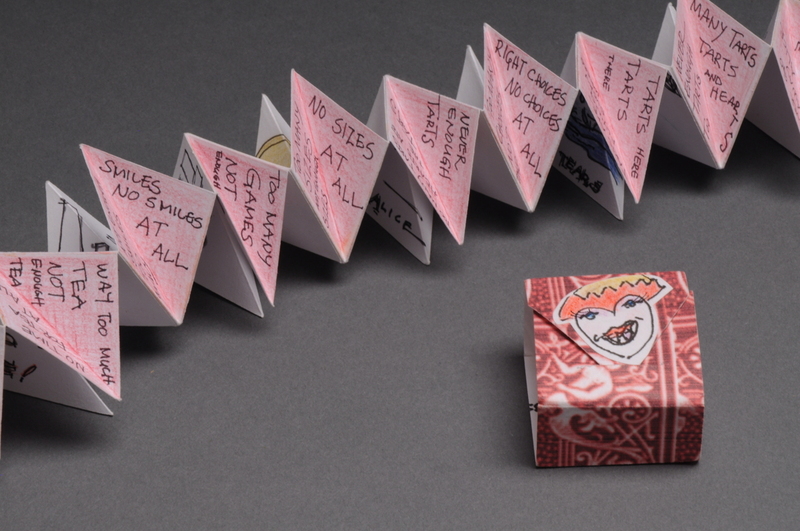 Miniature book created in celebration of the 150th anniversary of Alice in Wonderland. Oh! Alice 1 1/2" square Card stock, colored pencil, handwritten text.